I thoroughly enjoyed this wide ranging and thought provoking tome, so much so that I cracked through it in just over a week – not bad for a busy mum of two, Lecturer in the Management of Projects and part-time Doctoral Researcher. 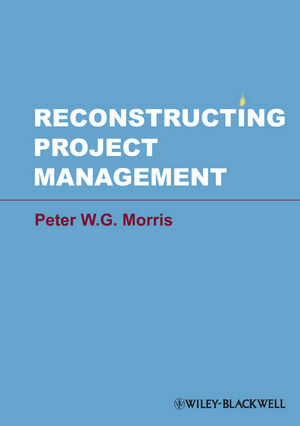 It is written in a relaxed but academically rigorous style, and draws on Professor Morris’s long and distinguished career as an academic and practitioner of project management. Indeed my first observation is that this book should be essential reading for any prospective student in the domain of project management. Morris’ s almost unique vantage point as one of the founders of the study of the management of projects allows him to view the current state of theorising in project management both critically and constructively, which makes the book highly relevant to both students and practitioners of the discipline of project management. It is a book which I shall certainly be drawing on in my own doctoral research – particularly Chapter 18 – which is the best discussion I have read to date on ontology, epistemology and methodology in project management. The book is helpfully divided into three sections, each of which has a distinct purpose but the three strands are skilfully synthesised into a final “summa” chapter, which can be read as a manifesto for improved practice in the management of projects. Part 1 of the book traces the evolution of the discipline of project management from its earliest formal beginnings in the US aerospace and defence industries in the post war years, to its current state of play as a major force (and means of implementing both new product development and organisational change) in developed economies today. I really enjoyed reading this section – and developing a deeper appreciation of the various schools of thought in the management of projects (e.g. planning and control and the Scandinavian School of projects as temporary organisations), the importance of the front end, project governance and strategy and the place of specialist techniques such as Agile and Critical Chain Project Management in the pantheon of project management theory. Part 2 is presented as a deconstruction of the various building blocks in the management of projects. The topics covered include control, organisation, governance, managing the front end, commercial management, risk and opportunity, people and the institutional context in which a specific project takes place. The discussion follows Morris and Geraldi’s (2004) framework of three levels of Project Management (level 1 being the technical core, level 2 the strategic wrapper and level 3 the institutional context). Whilst the material in part 2 is pretty standard to many other texts on project management – it is sufficiently concise to provide the practitioner and the “highly-strategic” student with a crash course in “how to manage projects”. Indeed as a teacher of planning and control in projects I shall be drawing on some of Chapter 9 and 14 to enhance my own teaching materials. Morris’s writing is very accessible and he makes good use of examples from both academic discourse and the practitioner arena to emphasis his key points. The aim of part 3 of the book is to reconstruct these constituent blocks into a potential future for the domain of project management. Part 3 is thought provoking, and although at times a bit high level and hand-waving it does make the reader think about the role of project management in resolving some of society’s future challenges, how projects might be more effectively managed and for the academic audience – how to advance theorising about the discipline of project management. a much needed emphasis on the management of projects, as opposed to the execution only view of project management. Within this the front end is particularly important along with strategy and governance and people. Project management much more than strategy and execution – more about delivering value. 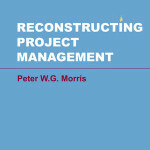 “Reconstructing Project Management” is a book that really needed to be written by such a leading thinker on the management of projects – and it is one that I whole heartedly recommend to colleagues, students and fellow doctoral researchers.